Hello lovelies! 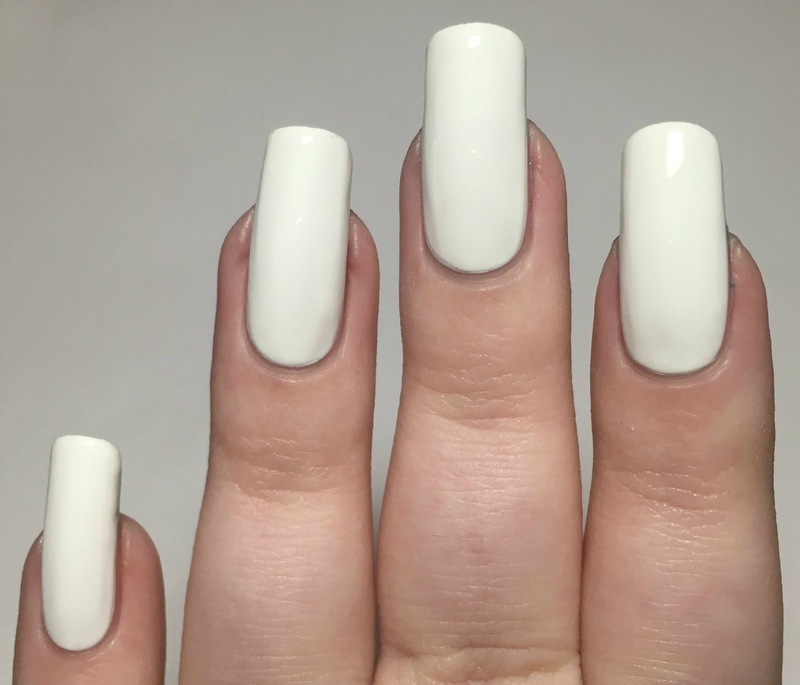 Today I'm back with another 26 Great Nail Art Ideas mani, although the two weeks since the last one (post here) has gone very quickly! This time the prompt is 'Red and Pink'. I wasn't 100% sure on what I wanted to do for this one. I couldn't decide between stamping or a gradient so I ended up going with both. I went for all Barry M Cosmetics polishes, and came up with this look. Read on to find out more! 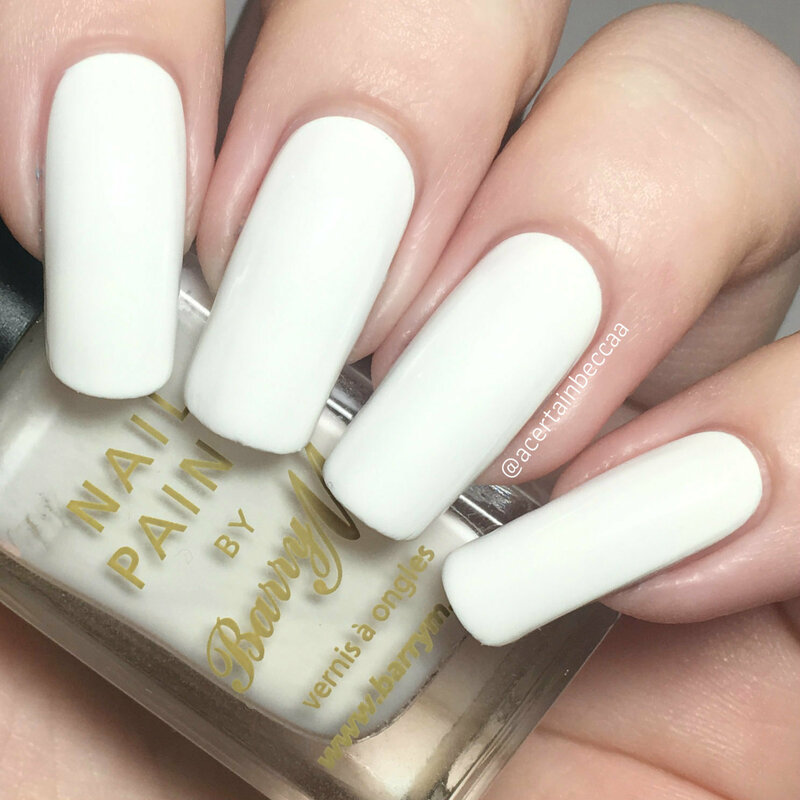 I started with a base of Barry M 'Matt White', a classic white creme. This was the first white polish I ever bought, and is still quite often my go to white. It does have a little bit of a thin formula, but is easy to control and builds up nicely. It is opaque in two coats, although I normally add a third to cover streaks. Below is three coats and topcoat. For my index and pinky nails, I created a pink to red gradient. 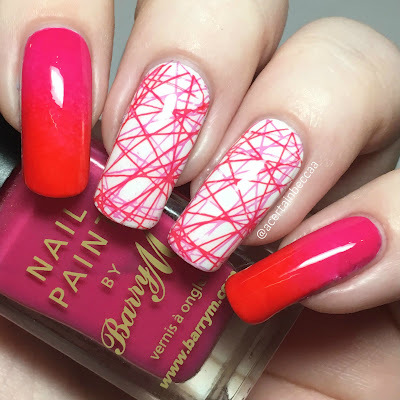 I used Barry M 'Shocking Pink' and 'Bright Red', by applying them to a makeup sponge and gently dabbing onto the nail. I used three quick coats to build up the colours nicely. I then double stamped on both my middle and ring nails with the same two Barry M polishes. 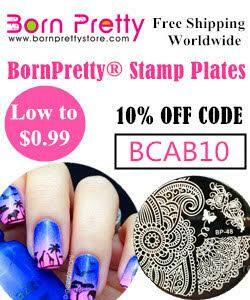 I used the geometric line pattern from Uberchic Beauty plate 9-03, and my Born Pretty Store clear stamper and scraper. I stamped in red, left it to dry, and then stamped over the top in pink. I finished by sealing everything in with topcoat. What do you think? I really do love these. I'm so happy with how they turned out. I have only double stamped once before, and I think I'll be doing it a lot more in the future. I also want to say that I'm really enjoying taking part in this challenge. I said on my first post that this is the first nail art challenge I've participated in, and it's so fun! Remember to check back in two weeks for the next theme. I love it. It's simple but sophisticated! That's such a cool gradient! The red to pink gradient is genius! Very cool indeed. Ooh this mani is gorgeous, love it so much Becca. Absolutely love this! 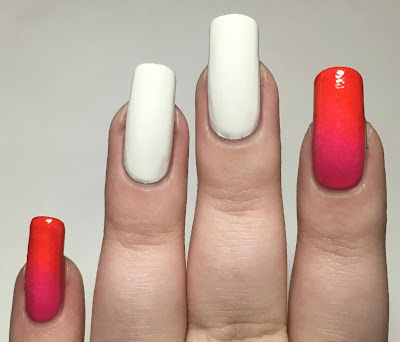 Perfect for Valentines Day, such a great look and love the gradient! These turned out amazing! I love your double stamping. I love how you combined bright pink and red - it really makes it pop! I love the geometric line stamping you did! This is fantastic!! 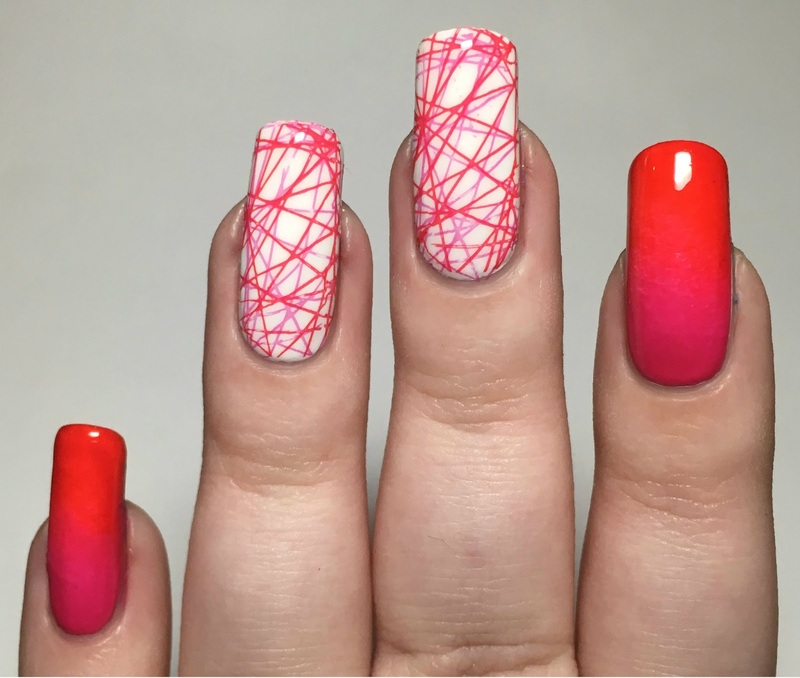 I love the double stamping, and the gradient. They work together beautifully! Oh, I love the design! So bright and fun -- I need to buy some bright colors to wear this spring! Oh wow, I love the final look. It's gorgeous!